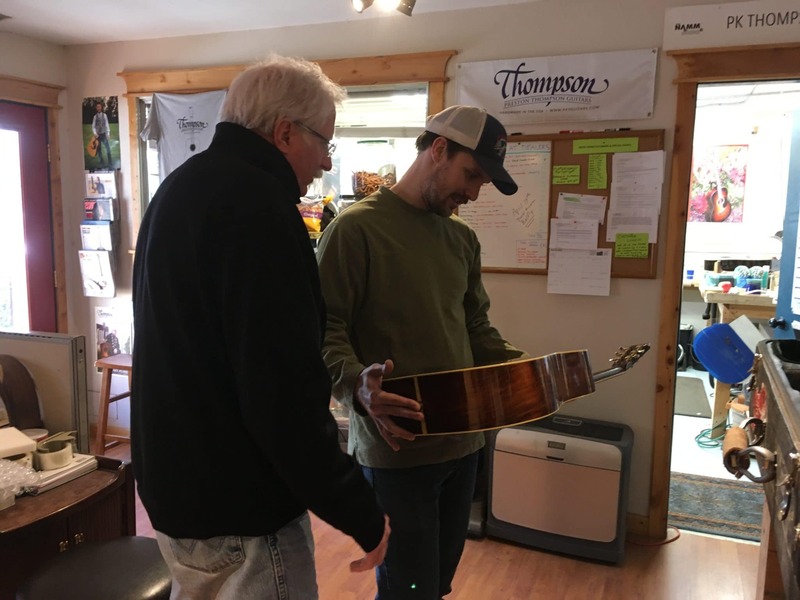 In a recent blog post we talked about the new generation of flatpickers that are playing our guitars and briefly mentioned Charles Sawtelle and his influences as a friend of Preston’s. Preston and Charles used Charles’s vintage Martin collection of guitars to investigate the build process of the 1930’s guitars. Here is a short video about this special guitar within the Thompson history. Photo of guitars are: Charles Sawtelle’s Brazilian Dreadnought, Preston’s Mahogany Dreadnought and below those guitars is uber talented flatpicker Molly Tuttle’s new Brazilian Dreadnought.